Why Are Pandas Endangered Animals? Pandas are one of the most easily recognized animals on Earth, thanks to their bold black and white coloration. Since almost all other bears have just one solid coat color, pandas are highly unusual-looking. They are also unique in other ways. For example, the diets of most bears are comprised of plant material, such as berries, and other animals, such as fish or insects. Pandas exclusively eat bamboo. Unfortunately, these fascinating bears are highly endangered due to habitat loss and other issues. Pandas are endangered mainly due to habitat loss. Humans have cleared much of the bamboo forests that pandas need to survive. Because pandas eat only bamboo, they cannot adapt to live outside of those forests the way other animals do, unless the pandas are provided with bamboo. Pandas also have difficulty reproducing, even in captivity, due to their extreme choosiness about their mates, their low-nutrient milk and the fact that they usually only have one viable cub at a time. Poaching is also an issue for pandas, since panda skins and pelts are valuable on the black market. By far, the greatest threat facing wild pandas, and the biggest reason they are critically endangered today, is deforestation on the part of humans, which has led to permanent habitat loss in some areas. 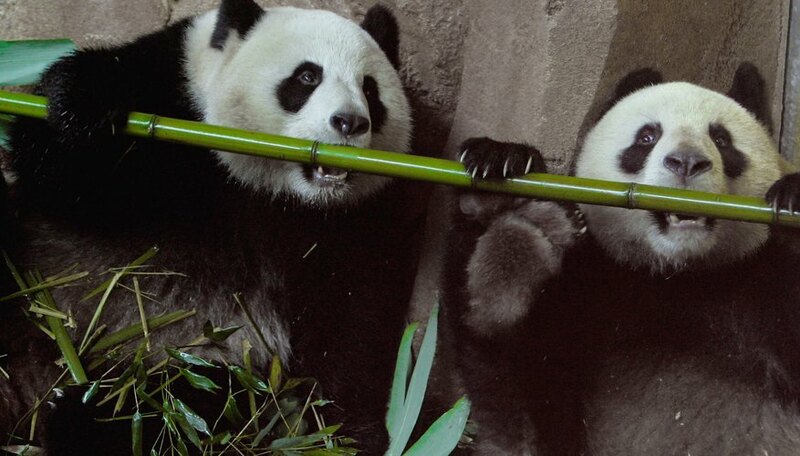 Wild pandas once roamed bamboo forests in China, Vietnam, Laos and Burma. 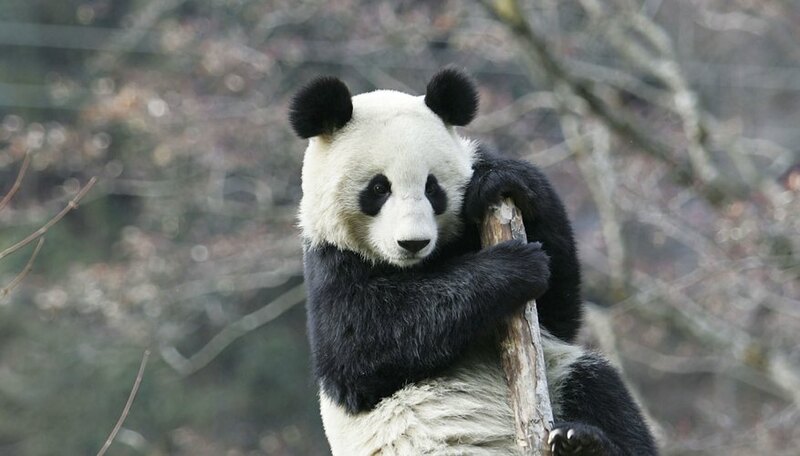 Today, wild pandas are found only in China, and in far fewer numbers than ever before. Scientists estimate that there are only around 1,800 wild pandas alive today. 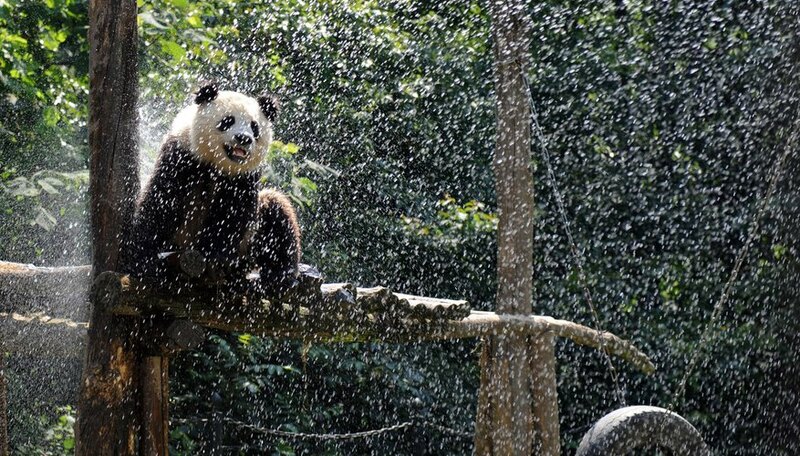 Habitat loss spells certain doom for pandas. 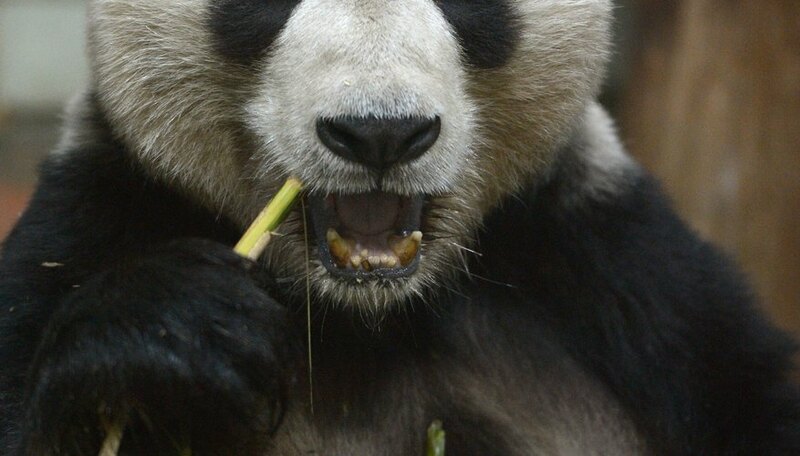 If a bamboo forest is cleared away, then the pandas' food source is gone. Relocating to another forest is often impossible, as forests today have become separated from one another, thanks to human cities and towns. Without access to a steady source of bamboo, pandas whose forests are cleared will perish from starvation. Some animals have found ways to adapt to human activity in areas that were once wild. For example, raccoons once lived primarily in forests but now inhabit many cities and towns, eating discarded food left behind by people. Raccoons are able to adapt in this way because of their physical attributes, such as their digestive systems, which can digest nearly any kind of food, and their small size, which allows them to hide easily. There are other animals, such as pigeons and rats, that have adapted in similar ways to live alongside humans. Pandas have no such adaptations. They cannot simply move into cities and towns when their forests are destroyed, mainly because they are so specifically adapted to a life of eating bamboo. Pandas' digestive systems can't properly digest anything else. Because bamboo shoots and leaves don't contain many nutrients, pandas also must consume vast quantities of it – around 20 to 40 pounds a day. Even if pandas could eat something other than bamboo, pandas could never blend in safely in cities or towns, due to their large size. For pandas, the environment they originally adapted to is the only environment where they can thrive. Most bear species, from grizzlies to polar bears, give birth to one to three cubs at a time, with at least one cub surviving into adulthood. However, because of their diet of low-nutrient bamboo, pandas' bodies are not well-equipped for pregnancy. Usually, only enough nutrients are present in a mother panda's body to gestate one cub. 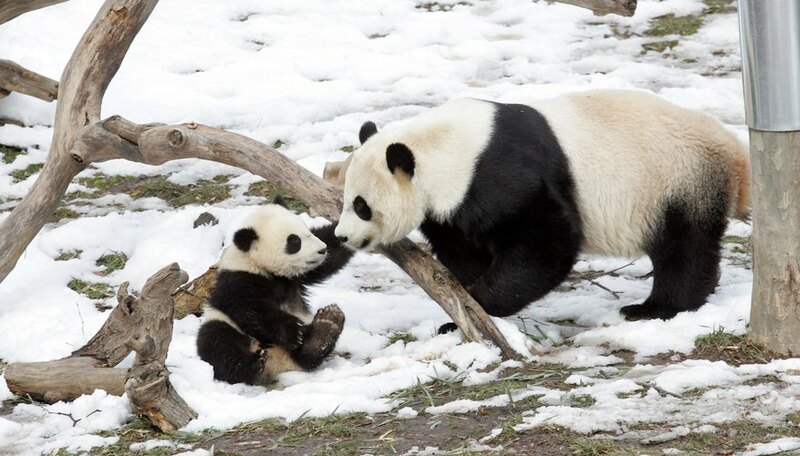 If two cubs are born, the mother usually abandons the smaller cub because panda milk has one of the lowest nutrient contents of any mammalian milk. She simply couldn't feed two cubs well enough for them both to survive. Even in captivity, breeding pandas is notoriously difficult. Pandas are extremely selective about choosing their mates, which means that even if a male and female panda are kept in the same enclosure for years, there is no guarantee the pair will mate. If pandas do mate in captivity, the cubs often need to be hand-raised by people, since captivity seems to throw off the maternal instincts of many panda mothers, causing them to abandon or even harm their cubs. Because of these issues, conservation programs that release pandas into the wild, in order to increase their numbers, are simply not possible, as they are for animals such as lions and wolves. It may seem unthinkable that anyone would knowingly kill an endangered animal, but it does happen via illegal poaching. Panda skins and pelts can fetch poachers hefty sums of money on the black market. China has strict penalties for anyone caught poaching pandas, but some poachers persist, in spite of the risks. With wild panda numbers as low as they are, even a single panda killed by poachers is a devastating loss. What Are the Predators of African Wild Dogs? Cook, Maria. "Why Are Pandas Endangered Animals?" Sciencing, https://sciencing.com/pandas-endangered-animals-5176027.html. 17 April 2018. Why Are the Red Pandas Endangered? How Do Giant Pandas Survive?